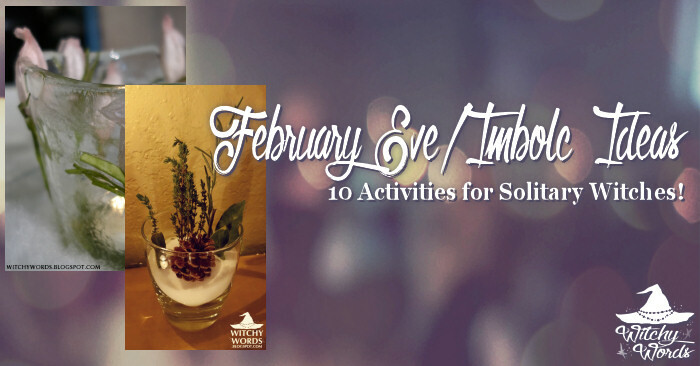 Witchy Words: February Eve / Imbolc: Ten ideas for solitary witches! February Eve / Imbolc: Ten ideas for solitary witches! Carve and decorate a candle to recognize the spark of light within you! See it in action in the Circle of Fountains February Eve ritual for 2015. 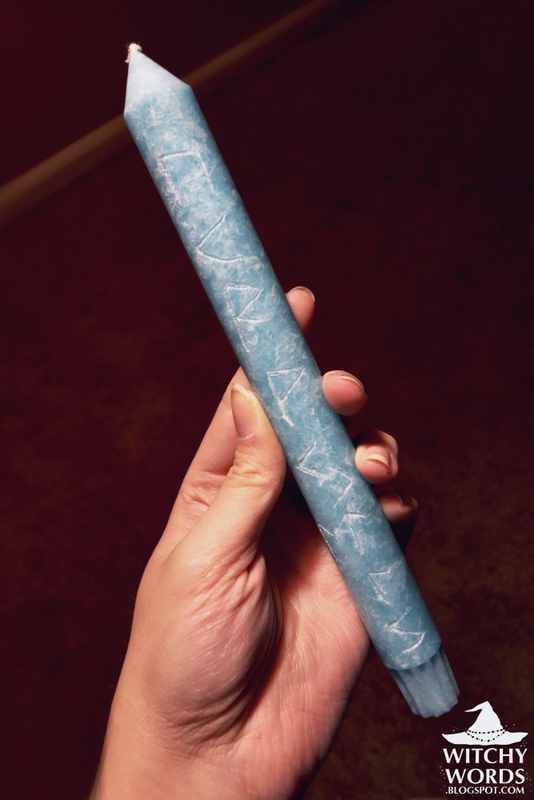 You can even use tissue paper to print your design on a white candle. Find out how below! 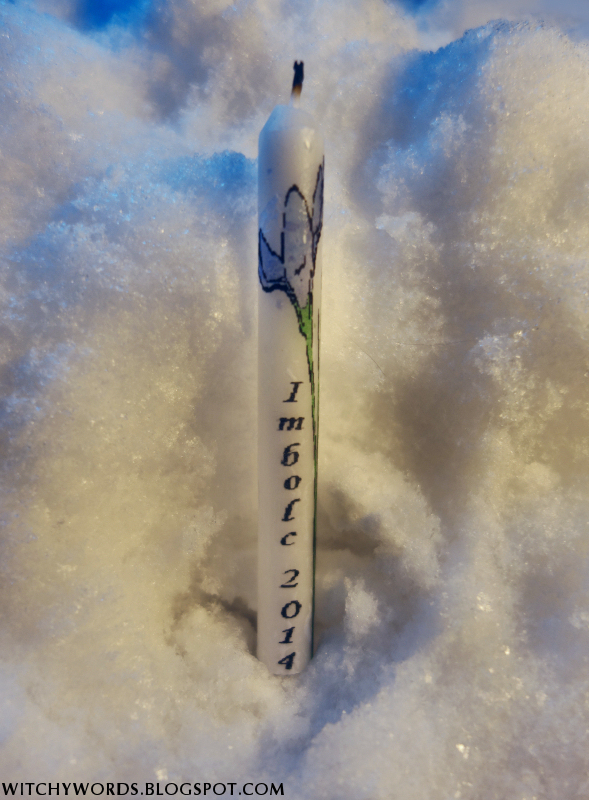 See it in action for the Liithi Lushede Imbolc ritual in 2014! Leave an offering of bread and milk to your patron deity, entities you work with or to the land. Read more about it in my 2015 February Eve altar post. 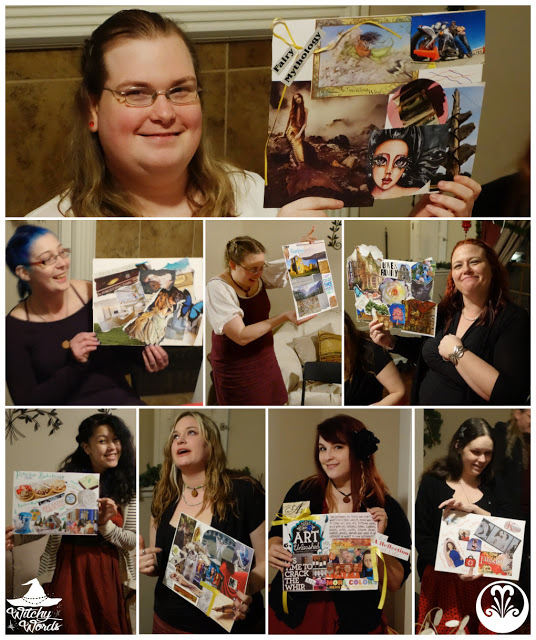 Create a vision board to inspire you for the year ahead. See it in action for the Circle of Fountains February Eve ritual in 2016! 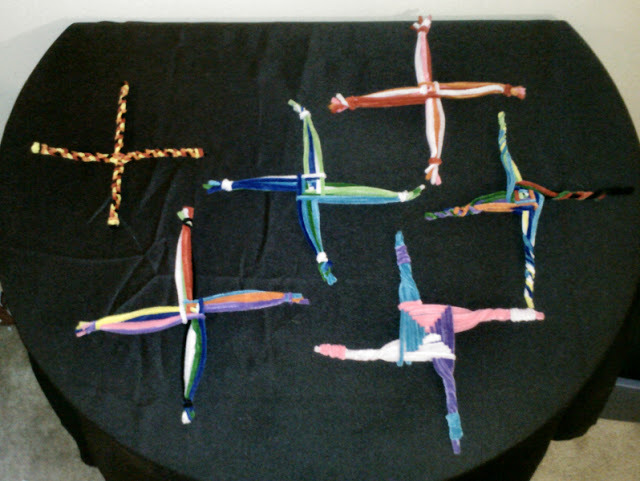 Create Brigid's Crosses to protect your home from fire. Please keep a fire extinguisher and fire alarms in your home as well. See it in action in the Circle of Open Traditions 2013 February Eve ritual! 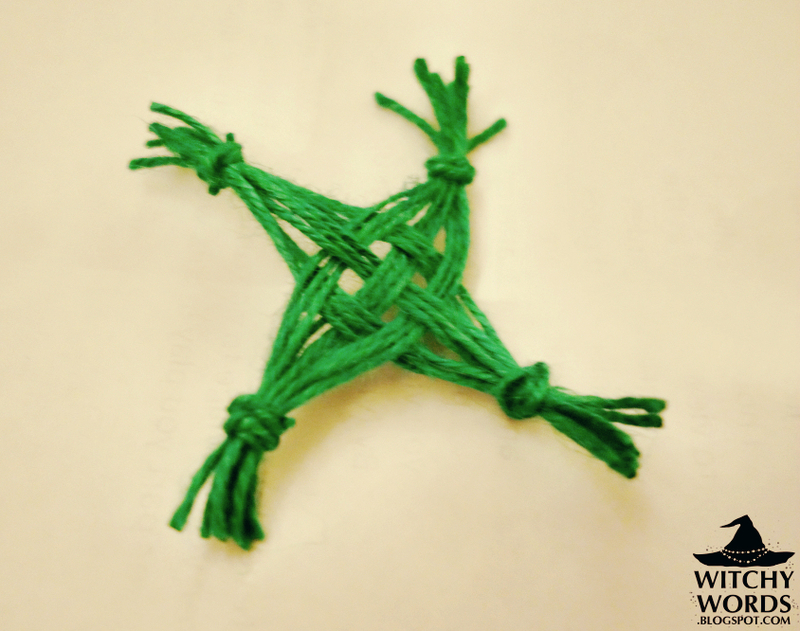 Alternatively, make a Derry version of the Brigid's Cross known as a binding knot! Click here for instructions (scroll way down)! See this one in action in the 2015 Circle of Fountains ritual! 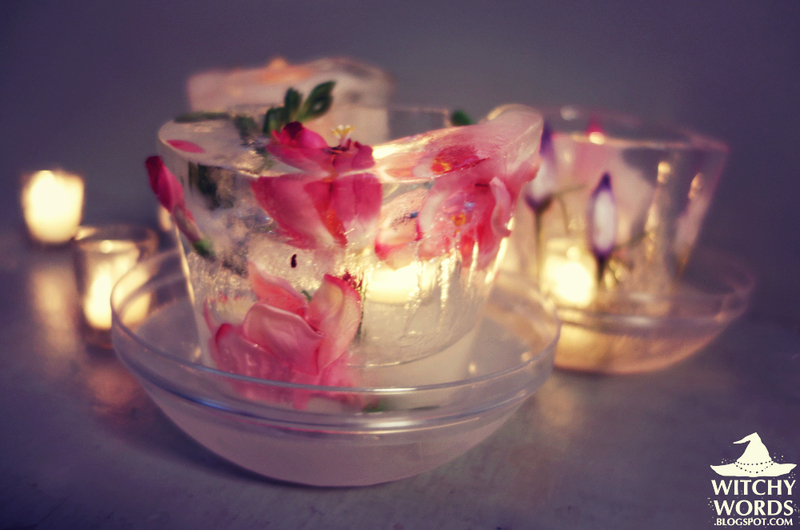 Make an ice candle holder to celebrate the thawing of the ground and the light ahead! See them in action in both the Liithi Lushede 2014 ritual AND the Liithi Lushede 2015 ritual! Honor February Eve with my Imbolc in a Cup altar consisting of herbs "planted" in salt. 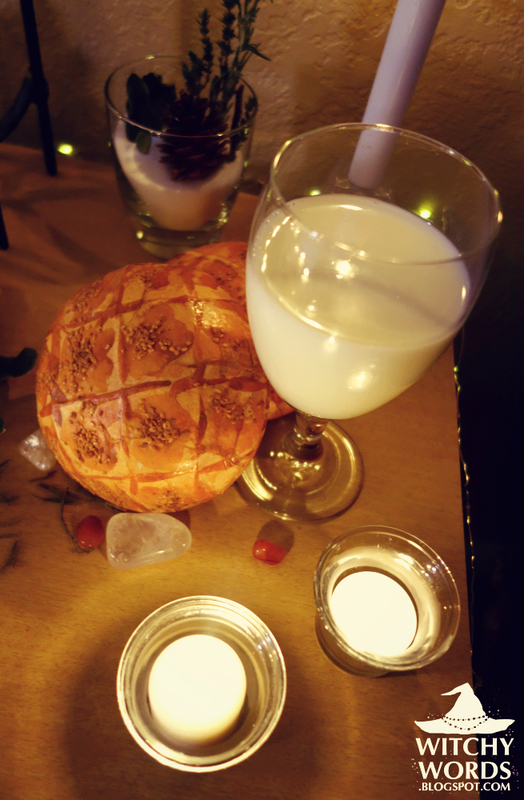 See it in action on both my February Eve 2014 altar and my February Eve 2015 altar. Take it a step further and use those herbs as a February Eve incense to cleanse your house! See it in action in my 2017 February Eve altar post. 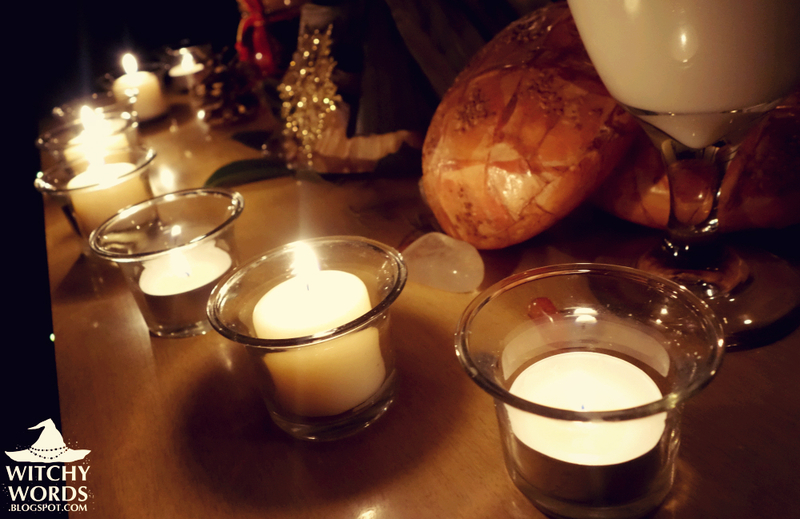 Or maybe just light several white candles to purify your altar area! Read more about it in my February Eve 2015 altar post. 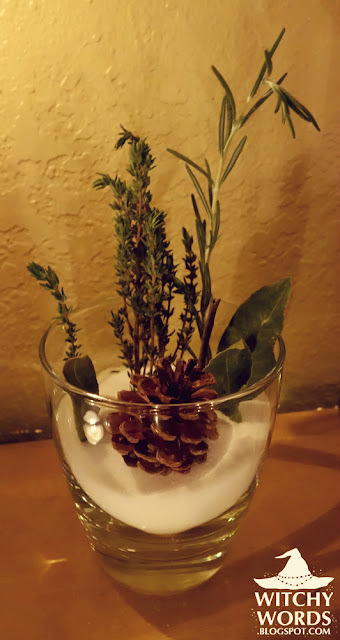 Make fertility wands by hot-gluing small pine cones to sticks and decorating them with ribbon! Use the wand to cast a fertility spell upon your garden area for the coming growing months. See them in action in the Heena Lushede Imbolg ritual for 2017! Whatever you choose to do, I hope you enjoy your February Eve to the fullest! May the spark of light guide your path! Good tips, thank you. :) My favourites are the vision board and the white candles. I like to light a white candle for Imbolc/Imbolg. I love this! I don't have a group to do things with, so Ideas for solitary witches is great! I hope you do more of these!